In order to provide readers, authors, and Petrotex members with clear statistics from our directory information, Petrotex is going to announce the report of what it has done regarding the journals so far. 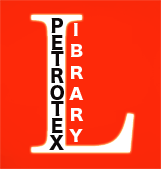 Petrotex Journals are published monthly and bimonthly, presenting the novel technologies, reports, and practical issues in industrial and academic institutes beside its research papers. Having established various networks with industrial and research institutes worldwide, the journals publish both papers and news simultaneously. Based on our records, there are 40 editorial board members from 42 institutions and 20 different countries working in four different departments. There have been 78 published papers so far (3.2 authors per paper) from 113 different authors from 24 different countries and 100 different institutions. The acceptance rate for journals is %61.7 and it normally takes 36 days for the papers to be reviewed.